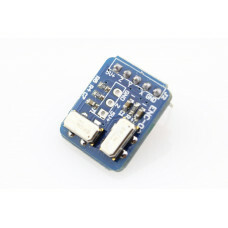 3 Axis Gyro L3G4200D. 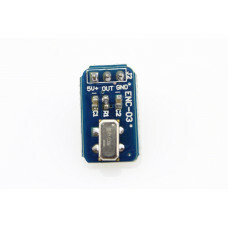 This is a breakout board for the L3G4200D. 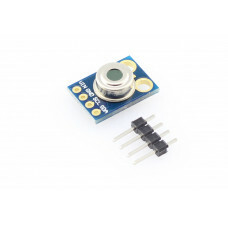 the L3G4200D is a low-power three-axis angular rate sensor able to provide unprecedented stability of zero rate level and sensitivity over temperature and time. 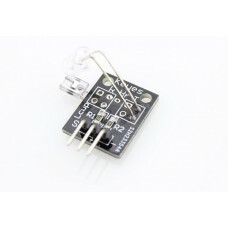 It includes a sensing element and an IC interface capable of providing the measured angular rate to the external world through a digital interface (I2C/SPI). 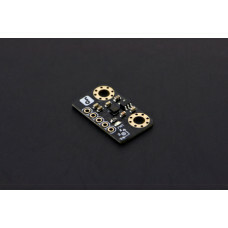 The L3G4200D has a full scale of +/-250 / +/-500 / +/-2000 dps and is capable of measuring rates with a user-selectable bandwidth.These work great in gaming and virtual reality input devices, GPS navigation systems and robotics.With the given Arduino library, you can easily setup your project as you get this product. The BMA220 is manufactured by Bosch. It has a minuscule triaxial, low-g acceleration capabilitie.. 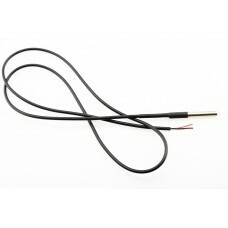 This is a Temperature Waterproof One Wire Sensor DS18B20. Handy for when you need to measure somet.. 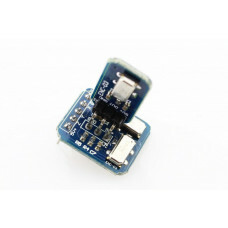 This finger Clip Heart rate sensor uses an IR emitter and a receiver to detect pulse of finger. it c.. 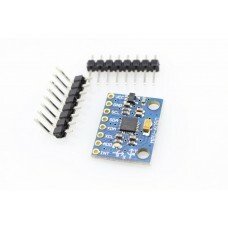 This is a MELEXIS MLX90614ESF-BAA-000-TU-ND non-contact infrared thermometer for use with Arduino, o.. He told you "Go West, young maker!" - but you don't know which way is West! 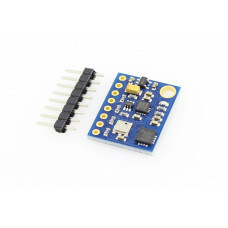 Ah, if only you had this..
Accelerometer Magnetometer Gyroscope Temp 9-DOF Breakout Board LSM9DS0. Add motion, direction.. 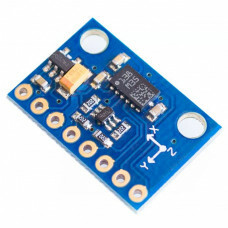 This angular velocity sensor utilises a Coriolis force that act on a vibrating object when an angula.. 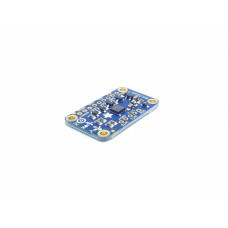 This angular velocity sensor utilizes a Coriolis force that act on a vibrating object when an angula..